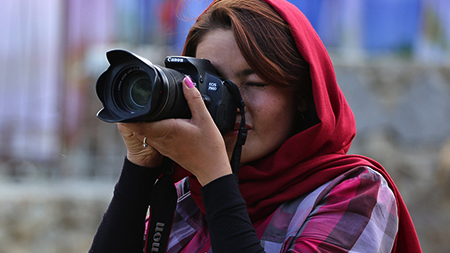 Internews’ Trust and Truth in Media Fund supports solutions that increase civic involvement and trust in independent media. Today, where trust in traditional media and civic institutions is at an all-time low, and propaganda, disinformation, hate speech, rumor and misinformation thrive, we are actively building for solutions that put citizen voice and trust back into civil discourse. Internews has a track record of rapidly testing and piloting media and information solutions that have deep impact at the local level. To pilot and test new solutions, we rely on unrestricted innovation funds. These funds have seeded some of our most successful and enduring programs. With your generous support, we can pilot new projects and support innovators and entrepreneurs across the world. Our work with Syrian, Afghan and Somali refugees began in late 2015 thanks to a modest individual donation. 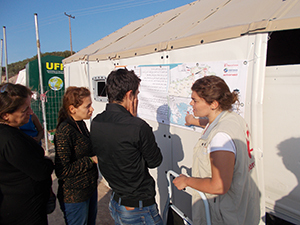 We began in Lesbos by assessing the needs of people flowing across the island. Starting with the basics, we erected signage on the beach that relieved confusion for thousands landing on the island. Next, we programmed information to broadcast from speakers mounted on roving fish delivery trucks. Within months, additional funding from a large NGO sustained our role as information coordinator with the humanitarian organizations on the island. Within a year, the program grew to reach refugees across Greece with an innovative news service, News that Moves, and a groundbreaking rumor tracking methodology that saved lives. The initial, flexible rapid response funds leveraged two years of significant support to refugees in Greece. We continue the work today, at scale, across the country. When Myanmar began its dramatic opening to the world and transformation to a democratic government in 2010, an information revolution accompanied the massive political and economic changes. The price of a sim card dropped from $2,000 to $2 almost overnight. 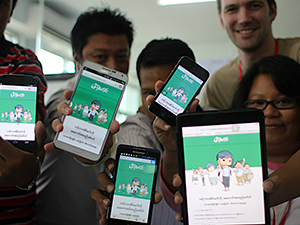 Internews had been working in and outside the country for 20 years, and we quickly realized the emerging tech community needed support and skill building to accelerate development and positive social change. Soon after, Phandeeyar, Myanmar’s first tech hub, was born. In the incubation stage, Phandeeyar was supported by a small handful of individual donors. Their relatively modest contributions enabled us to build a nascent community, now supported by private foundations and industry. Today, Phandeeyar is a vibrant, independent Burmese-run tech technology hub hosting open data trainings, hackathons, meetups and talks on topics including hate speech, inclusion for ethnic voices, and social media. In our 35th year, we are seeking 35 new Partners in Truth to support the Trust and Truth in Media Fund. Our goal for the fund is $500,000. As a Partner in Truth, you will be contributing directly to strengthening trust and truth in local media and information systems.